Individual small 8 gram glue stick sold in a carton of 24 sticks. Individual medium 21 gram glue stick sold in a carton of 12 sticks. 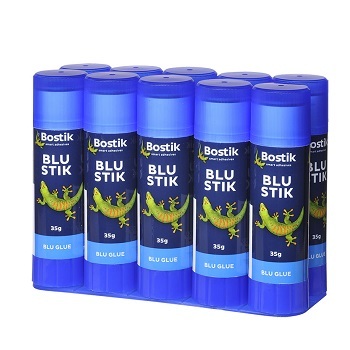 The Bostik Blu Stik is a smooth, solid, general purpose adhesive glue stick. It goes on blue so you can see where you're applying it and it dries clear so it won't detract from your work. 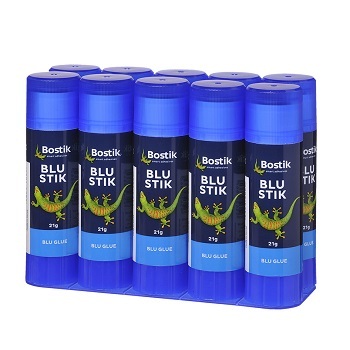 Perfect for scrap books, cutting and pasting, school projects and paper craft, the Blu Stik is ideal for home, office or school use. Non-toxic and acid free, so it won't yellow with age. 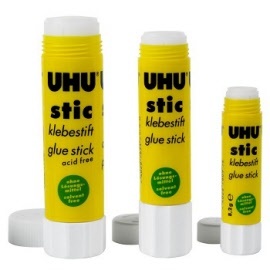 Individual medium 21 gram glue stick sold in a carton of 10 sticks. 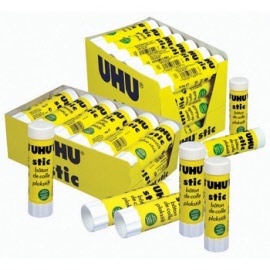 Individual large 40 gram glue stick sold in a carton of 12 sticks. 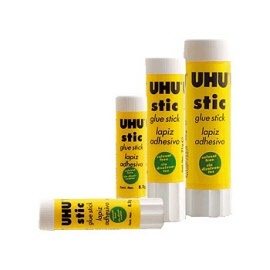 Individual large 35 gram glue stick sold in a carton of 10 sticks. 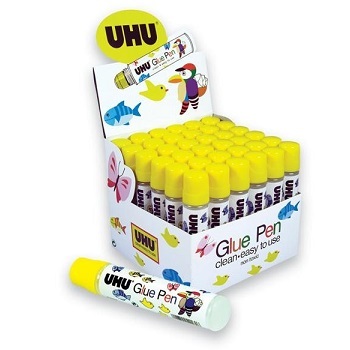 Individual 50ml glue pen sold in a carton of 36 pens.